Thousands of purple jellyfish have bloomed earlier than usual and a few days ago swarmed the coastal area around Marsalforn and Xwejni bay in Gozo. The bloom consisted of thousands of mature mauve stinger (Pelagia noctiluca) individuals and according to marine biologist Alan Deidun is a clear sign the Mediterranean sea is warming. “Blooms for this species would normally start towards late autumn in the warmer waters off north Africa, making their appearance further north in Maltese waters towards mid-winter, in February,” he explained. Their early presence could be indicative of the unstoppable warming of the Mediterranean Sea, whose temperature rose by as much as 0.5?C since 2002 at least in the western half of the basin, he said. Dr Deidun is investigating the dynamics of jellyfish blooms in Maltese waters at the University’s international ocean institute. The institute has conducted an intensive jellyfish spotting campaign – Spot the Jellyfish – which will continue throughout 2011, led by Aldo Drago. 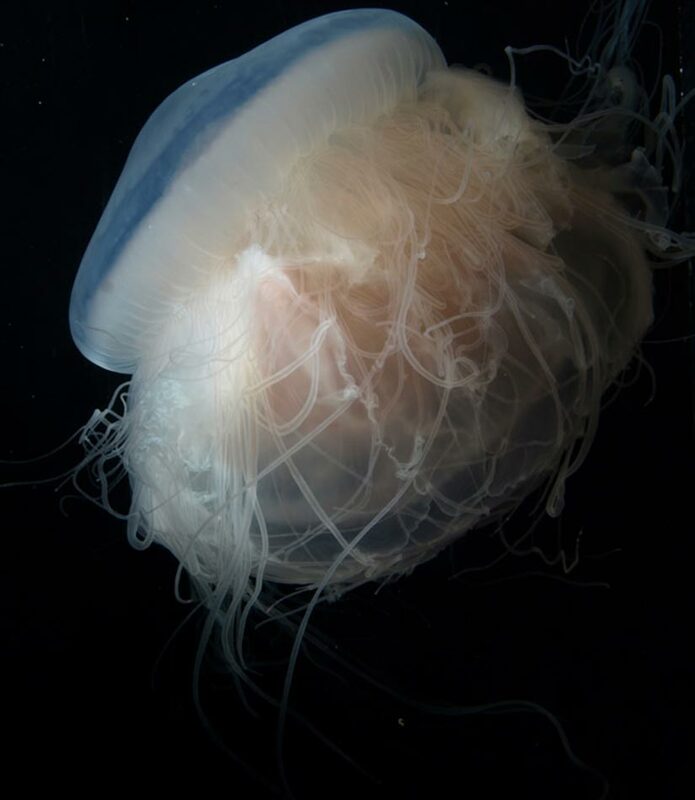 The mauve stinger is a highly versatile species and can tolerate sea temperatures of between eight and 22 degrees, delaying its release of miniature jellyfish until optimal environmental conditions are found. Until 1998, Pelagia blooms occurred every 12 years and had an average duration of four years. However, they became more common due to climate change, overfishing and coastal urbanisation and discharges, Dr Deidun said. This entry was posted in 5% acetic acid/Vinegar on jelly stings, Box jellyfish, florida-jellyfish-portuguese-man-of-war-florida-beaches-long-island-beaches-hawaii-waikki-oahu-guam-austalia-stingersmauve-jellyfis-pelagia-nortiluca-black-sea-nettles-stingrays-sport-fi, jellyfish, jellyfish sting first aid, jellyfish stings, Lion's mane jellyfish, Man of War, marine sting first aids, marine stings, Pacifici coast sea nettles, Pelagia Nortiluca, sea nettles, StingMate, Uncategorized, Vinegar on Jellyfish stings. Bookmark the permalink. Well that’s just a whole post full of bad news isn’t it? Great. Hello current…thanks for checking out our blog posts..our early blogs to provide information and photos about jellyfish discoveries..no worries if you get stung…look for StingMate for proven effective marine sting first aid… .check out http://www.stingmate.com for more information, interesting news and reports and blogs….